Manufacturer of Delta UPS. Our product range also comprises of Electric Dynamo Meter, Electric Drive System, and Hydraulic Sensor. 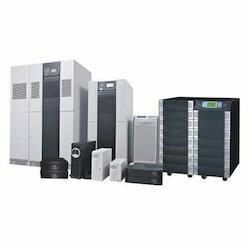 We have trusted names in the industry in offering a wide range of Delta UPS. This UPS is considered as one of the fast sensings electronic circuits with high and low voltage auto cut off to protect valuable electronic appliances. Being a quality focused organization, the quality of delta UPS is never compromised. To get the high satisfaction of the patrons, we provide this UPS at the affordable price.